Airtel 4G Services: Airtel Partners ZTE - . ::World for News & Digitals Update::. 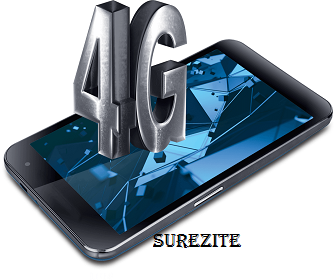 Airtel partners with ZTE to roll out 4G service, Airtel Networks Limited has announced a strategic partnership with ZTE, Chinese multinational telecommunications equipment/systems Company and world leader in mobile Internet hardware and solutions, to launch 4G (fourth generation of wireless mobile telecommunications technology) in Nigeria. In December 2012, Airtel became the first telecoms operator in the country to complete a successful 4G trial in Lagos, the commercial nerve centre of Nigeria, in line with its commitment to pioneer innovation and lead a mobile Internet revolution in Nigeria.Commenting on the partnership with ZTE, Chief Executive Officer and Managing Director of Airtel Nigeria, Segun Ogunsanya, said, “This is a new dawn for mobile Internet in Nigeria. Airtel and ZTE’s collaboration to roll out 4G service pan Nigeria will dramatically improve mobile Internet experience for telecoms consumers across the country.